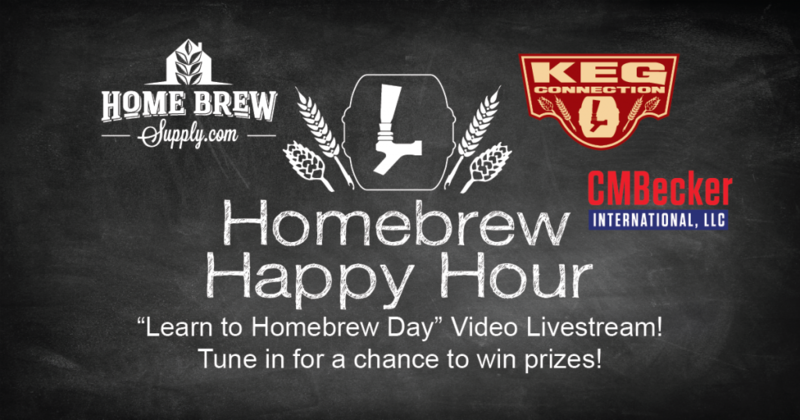 Happy Learn to Homebrew Day! Ok, maybe that was last Saturday but we are finally getting around to uploading the audio from our video livestream (video embed below!). We had a BLAST doing the show LIVE for you guys and we want to thank those of you who could join us and for the questions you submitted! We discussed a ton of things but also had a chance to preview the brew day we had alongside the equipment we were using. If you are only doing the audio version of this show, it might be worth checking out the video embed so you can have some kind of visual reference to the gear we are discussing!